Sky Digital: New FEC for Disney Channel +1 on 11914.00MHz, pol.H: FEC:5/6 ( SR:27500 SID:9105 PID:2326/2327 English,2328 nar - VideoGuard). Sky Digital: New frequency for Disney Channel +1: 11914.00MHz, pol.H (DVB-S SR:27500 FEC:2/3 SID:9105 PID:2326/2327 English,2328 nar- VideoGuard). Disney Channel +1 switched to Astra 1N satellite at 10862.00MHz, pol.H (DVB-S , 10862.00MHz, pol.H SR:22000 FEC:5/6 PID:2321/2322 English,2323 English,2325 English). Sky Digital: New PID for Disney Channel +1: PID:2321/2322 English,2323 English,2325 English SID:9007 (10862.00MHz, pol.H SR:22000 FEC:5/6 - VideoGuard). Movistar+: Disney Channel +1 (United Kingdom) is now transmitted Free To Air (11317.50MHz, pol.V SR:22000 FEC:5/6 SID:29802 PID:164/96 Spanish,97 English). Sky Digital: New PID for Disney Channel +1: PID:2311/2312 English,2313 English,2315 English SID:9007 (10862.00MHz, pol.H SR:22000 FEC:5/6 - VideoGuard). 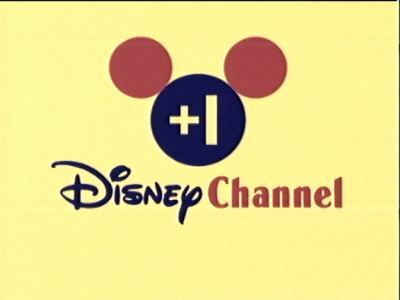 Movistar+: Disney Channel +1 is now encrypted in Mediaguard 2 & Nagravision 3 (11317.50MHz, pol.V SR:22000 FEC:5/6 SID:29802 PID:164/96 Spanish,97 English). Movistar+ (Hispasat): Disney Channel +1 is now encrypted in Nagravision 3 (11891.00MHz, pol.V SR:30000 FEC:5/6 SID:31 PID:164/96 Spanish,97 original audio). Movistar+ (Hispasat): Disney Channel +1 (United Kingdom) is now transmitted Free To Air (11891.00MHz, pol.V SR:30000 FEC:5/6 SID:31 PID:164/96 Spanish,97 original audio). Sky Digital: New PID for Disney Channel +1: PID:2312/2313 English,2314 English,2316 English SID:9007 (10862.00MHz, pol.H SR:22000 FEC:5/6 - VideoGuard). Sky Digital: New PID for Disney Channel +1: PID:2313/2314 English,2315 nar,2317 nar SID:9007 (10862.00MHz, pol.H SR:22000 FEC:5/6 - VideoGuard). Movistar+ (Hispasat): New SR for Disney Channel +1 on 11891.00MHz, pol.V: SR:30000 ( FEC:7/8 SID:31 PID:164/196 Spanish,97 original audio - Nagravision 2). Movistar+: Disney Channel +1 (United Kingdom) broadcasts in DVB-S Mediaguard 2 & Nagravision 2 on 11317.50MHz, pol.V SR:22000 FEC:5/6 SID:29802 PID:164/96 Spanish. Sky Digital: New frequency for Disney Channel +1: 10862.00MHz, pol.H (DVB-S SR:22000 FEC:5/6 SID:9007 PID:2337/2338 English,2339 English,2341- VideoGuard). Sky Digital: New PID for Disney Channel +1: PID:2311/2312 English,2314 English SID:9002 (10862.00MHz, pol.H SR:22000 FEC:5/6 - VideoGuard). Movistar+ (Hispasat): A new channel has started in DVB-S Nagravision: Disney Channel +1 (United Kingdom) on 11891.00MHz, pol.V SR:27500 FEC:3/4 SID:31 PID:164/196 Spanish,97 original audio. Sky Digital: New PID for Disney Channel +1: PID:2312/2313 English SID:9002 (10862.00MHz, pol.H SR:22000 FEC:5/6 - VideoGuard). Sky Digital: New PID for Disney Channel +1: PID:2311/2312 English SID:9002 (10862.00MHz, pol.H SR:22000 FEC:5/6 - VideoGuard). Sky Digital: New frequency for Disney Channel +1: 11604.00MHz, pol.V (DVB-S SR:22000 FEC:5/6 SID:9002 PID:2309/2310 English- VideoGuard). Sky Digital: New PID for Disney Channel +1: PID:2313/2314 SID:9002 (10862.00MHz, pol.H SR:22000 FEC:5/6 - VideoGuard). Movistar+: New frequency for Disney Channel +1: 11317.00MHz, pol.V (DVB-S SR:22000 FEC:5/6 SID:29802 PID:164/96- Mediaguard 2).